This morning I set to work making nut butters. 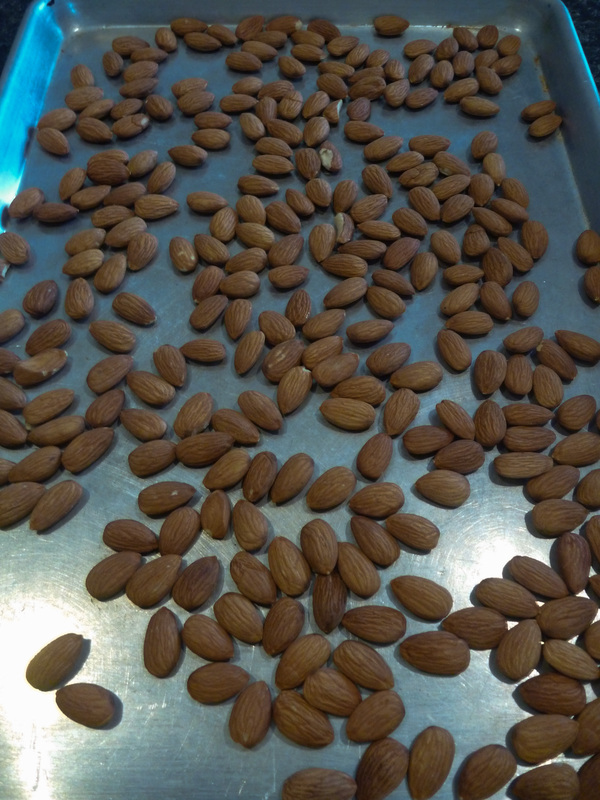 We accidentally bought whole raw almonds (instead of dry roasted) so the first task was to roast the almonds! I’m sure you can make almond butter from raw almonds but it wouldn’t have the same delicious flavor, it would be a bit bland. The whole house smells devine. 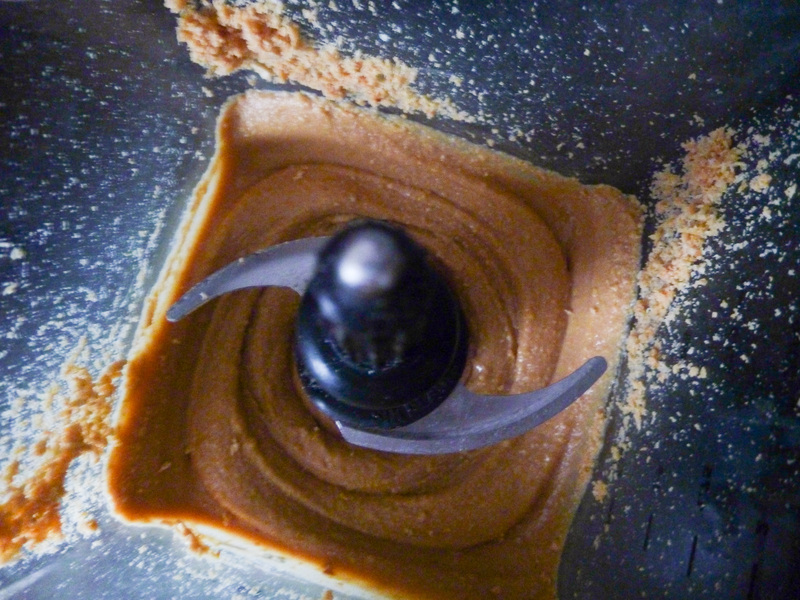 While the almonds were roasting I whirled up some peanut butter in the ninja. Best to make all the nut butters at once so you don’t have to clean up the blender a 100 times. 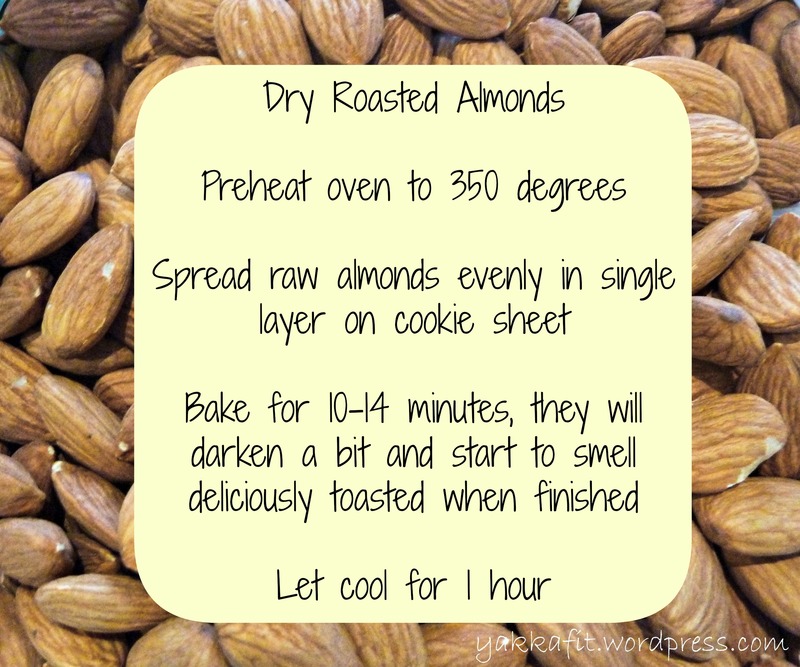 It took much less than an hour for my almonds to cool. Just make sure they aren’t still hot in the middle, you don’t want to melt your food processor or blender. I threw the freshly roasted almonds in the ninja and whirled away. It only took a few minutes before I had creamy butter. I threw in some sea salt and mixed it for a few more seconds. This almond butter tasted spectacular! I don’t know if I just haven’t had almond butter in a while (since I have been obsessing over peanut butter) or maybe it was the oven roasting, either way, it tasted amazing. Next I tried to find a recipe I could make with the leftover almond butter in the blender. 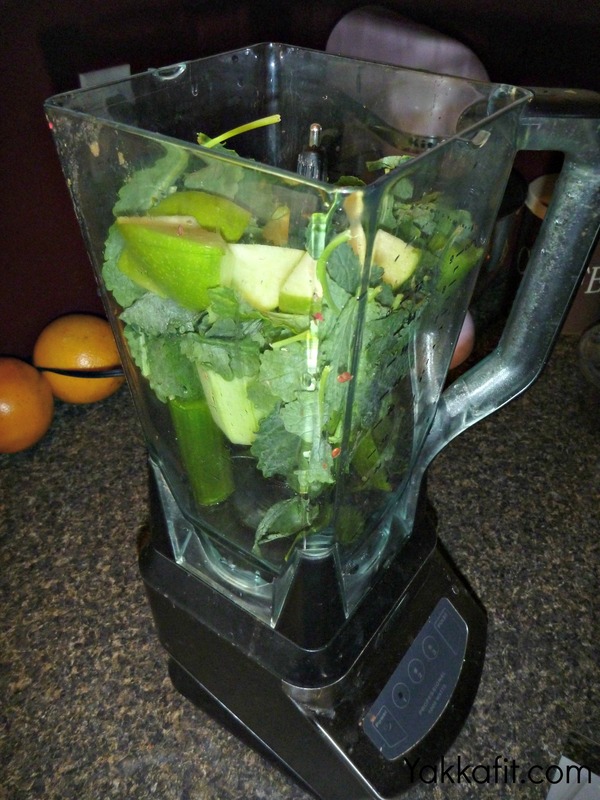 I found a scrumptious smoothie recipe in Raw Energy by Stephanie Tourles and adapted it to my liking. This is what I came up with, and let me tell ya, It was de-licious! This was a perfect afternoon pick-me-up, and it was surprisingly filling. 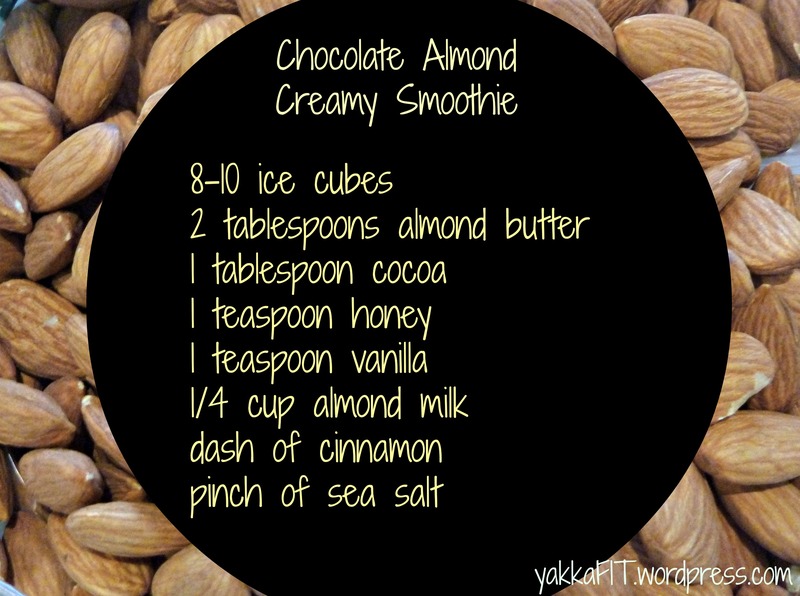 It is great after a workout and has about 240 calories. 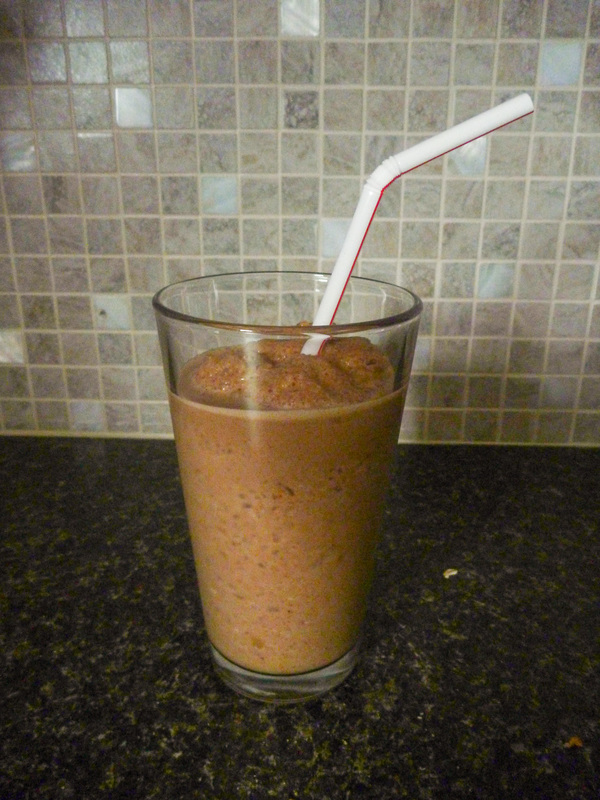 I’m sure peanut butter, or really any kind of nut butter could be substituted for the almond butter in this smoothie. Let me know what you think!